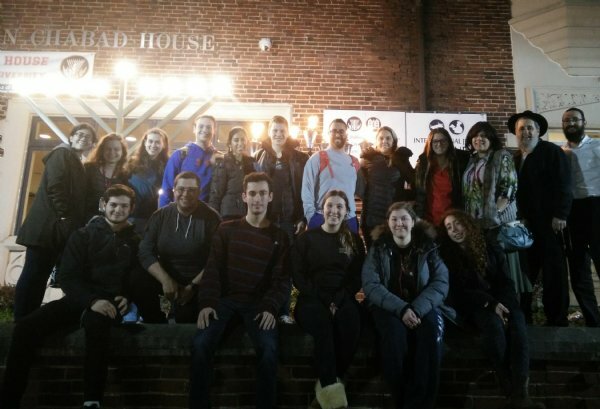 Think Globally, Act Locally. 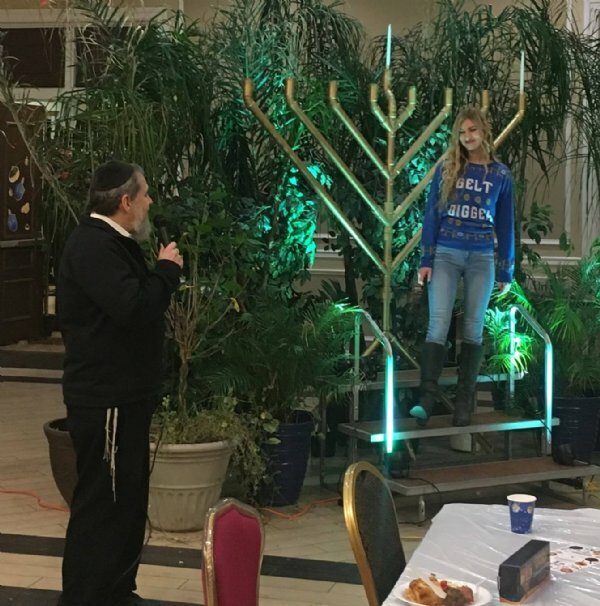 In the world arena, it’s truly been a month of miracles. 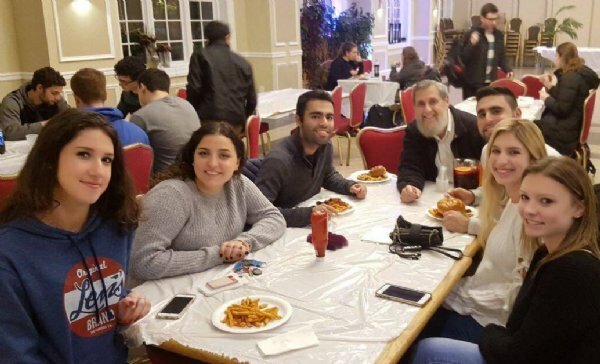 It began with President Trump’s decision to recognize Jerusalem as the capital of Israel with the moving of the US Embassy there. 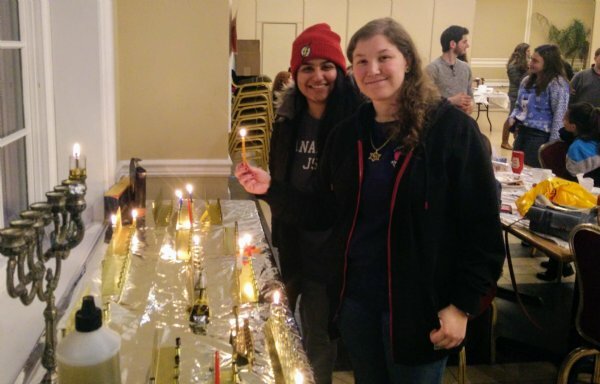 Then came the Jewish Festival of Lights, Chanukah, marking the miraculous military victory of a small band of Jewish activists called the Maccabees over the massive Syrian-Greek army’s attack and a super-natural miracle of a small cruise oil lasting for 8 days in the Menorah l ocated in the Holy Temple in Jerusalem. 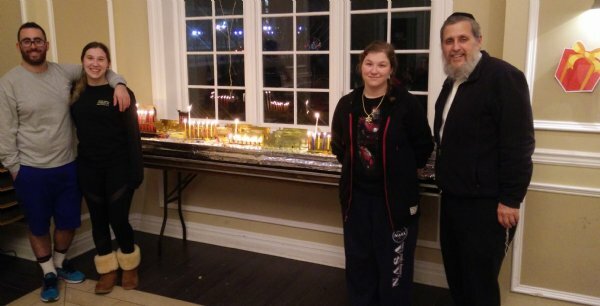 And on the 8th day of Chanukah just a few short days ago, a Jewish businessman and philanthropist, named Shalom Rubashkin, who had been convicted of financial crimes and sentenced with what judicial professionals and governmental officials alike referred to as a cruel and unusually excessive 27 year prison sentence, was suddenly released after 8 years as President Trump commuted his sentence. 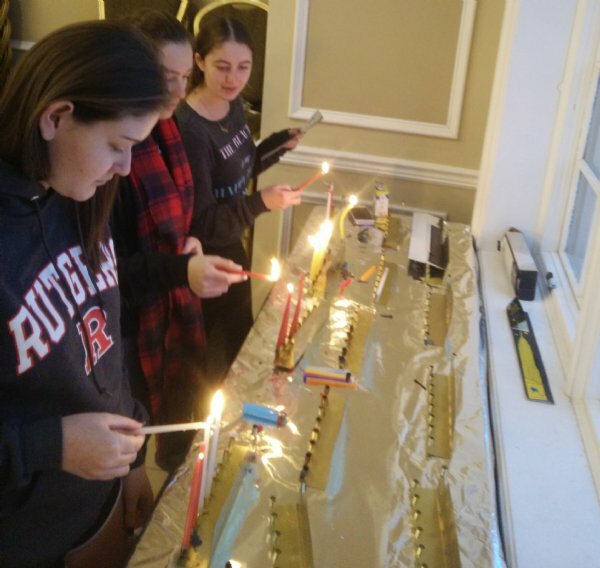 And more closer to home, Chanukah celebrations this year at Rutgers were miraculous in their own right. 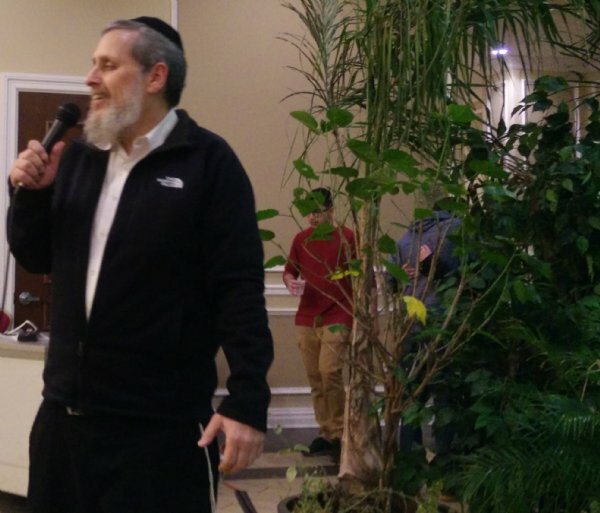 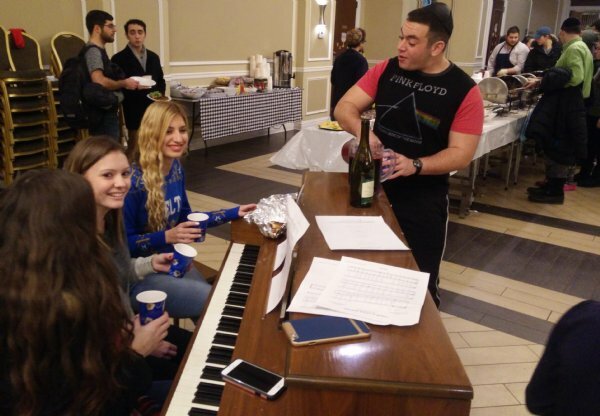 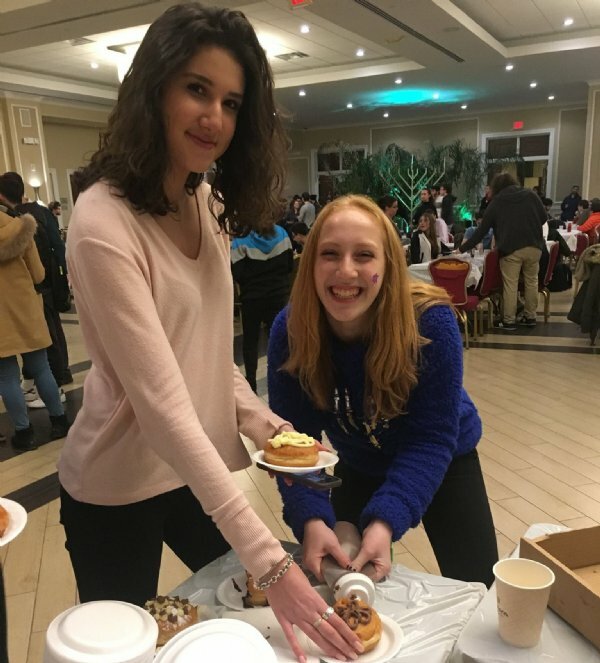 The first night of Chanukah coincided with Chabad’s weekly Jerusalem Café and brought together over 350 Rutgers students to celebrate the holiday together. 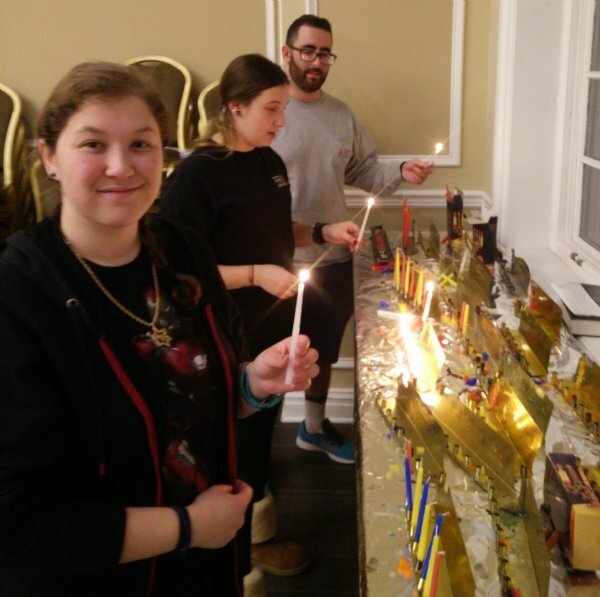 For many students, it was the first time they lit the Menorah ever, as the families they come from do not observe the holiday. 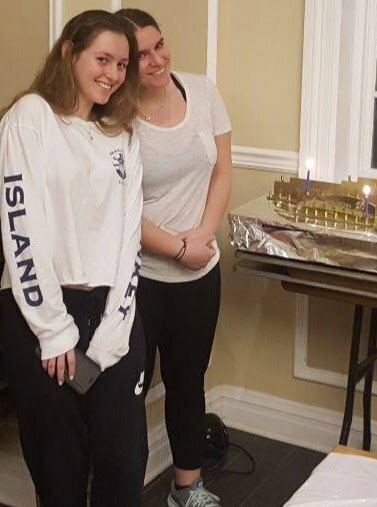 And for many other students, it was the first time they helped friends light the Menorah and say Chanukah’s proper blessings over the lighting. 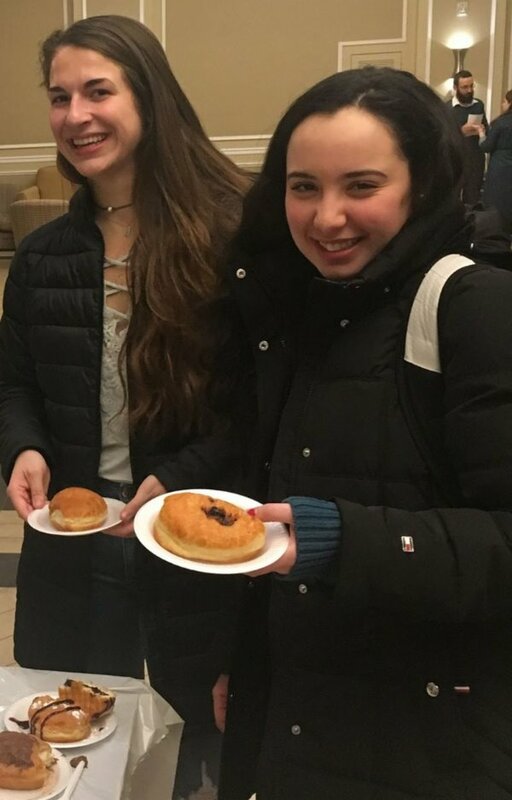 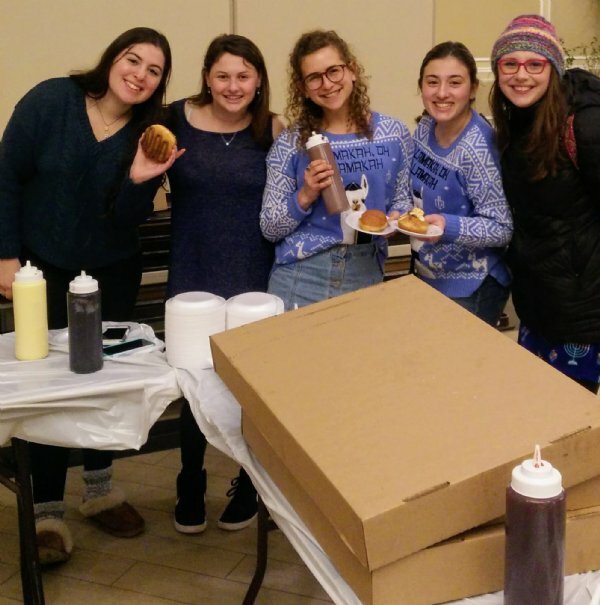 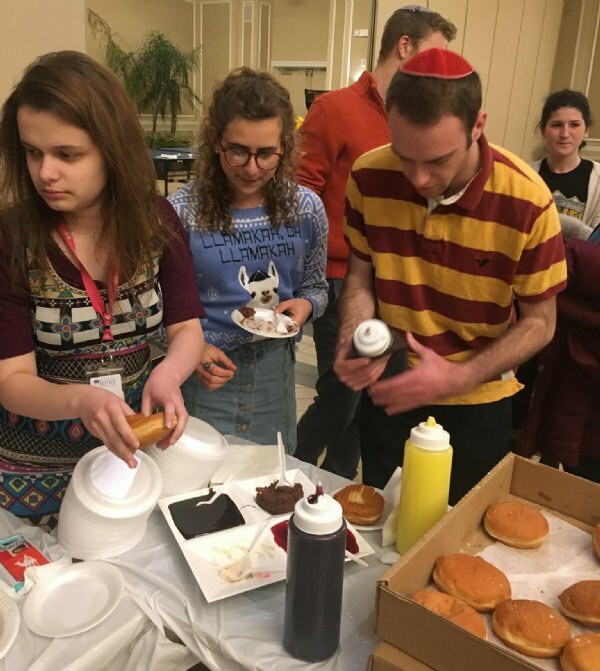 Students were then invited to fill and decorate fresh doughnuts, fry potato latkes, make l’chaims, and compete in the Rutgers Dreidel Games, led by Chabad Team Leaders Marli Dinovitzer, Sarah Gutwein, Zachary Peller, Shaina Joseph, Mayan Krispe, David Abayav, and an affixing of a Chanukah house-warming Mezuzah by Lee Levy. 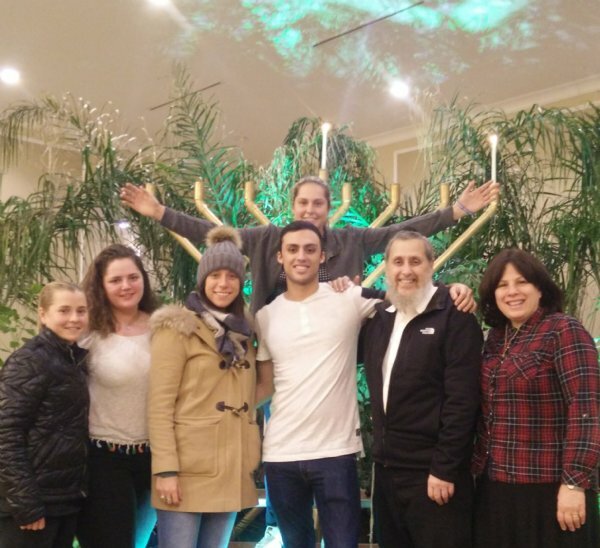 Micky Aflalo’s father donated a 7-foot hand make iron Menorah which was lit outside Chabad House with brilliant flames proudly burning nightly throughout Chanukah, lighting up College Avenue. 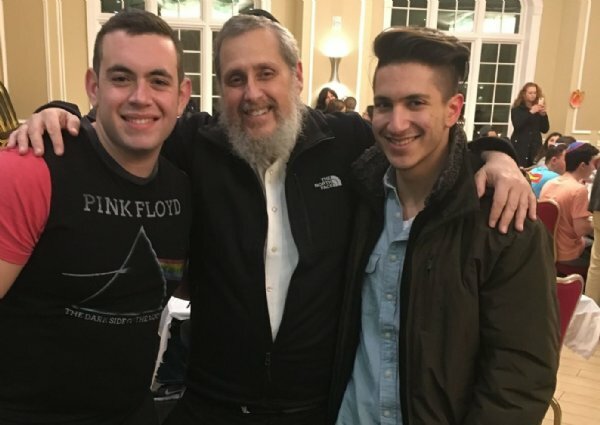 On most of the other nights of Chanukah, Rabbi Goodman, went with student leaders to many off campus houses, fraternities and sororities to light Menorahs with the students living there. 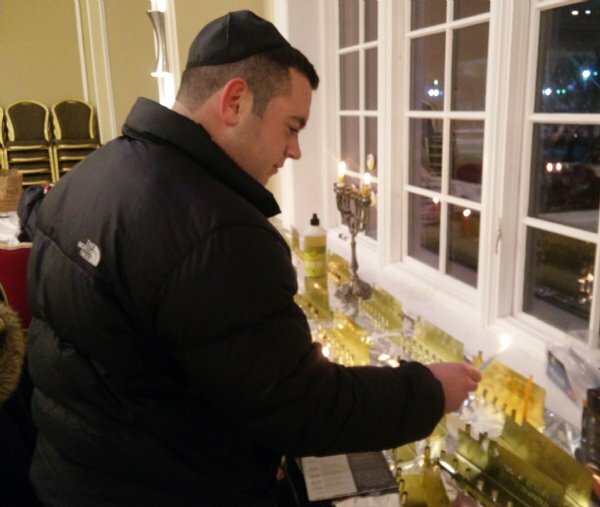 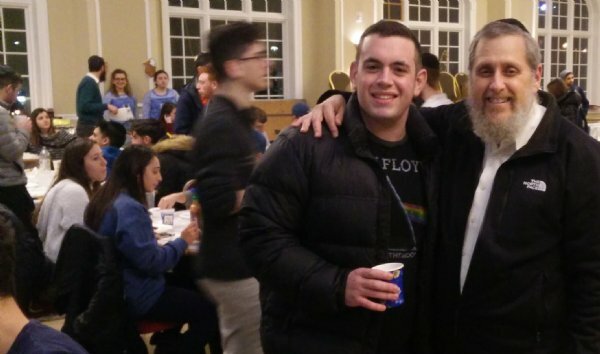 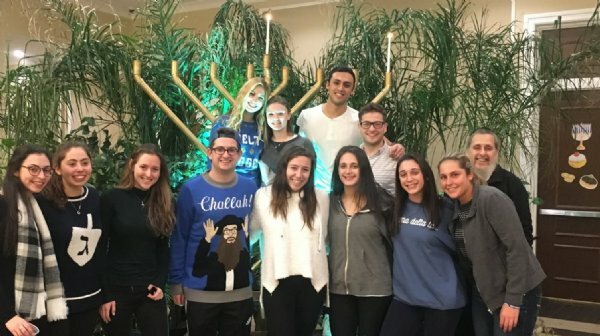 At AEPi, Chi Psi, ZBT, Kappa Sigma, and Phi Kappa Tau Fraternities, as well as SDT and with the sisters of Delta Gamma and SigmaAEPi Sororities, Rabbi Goodman and his students gathered the Jewish students there, and requested the lights to be dimmed. 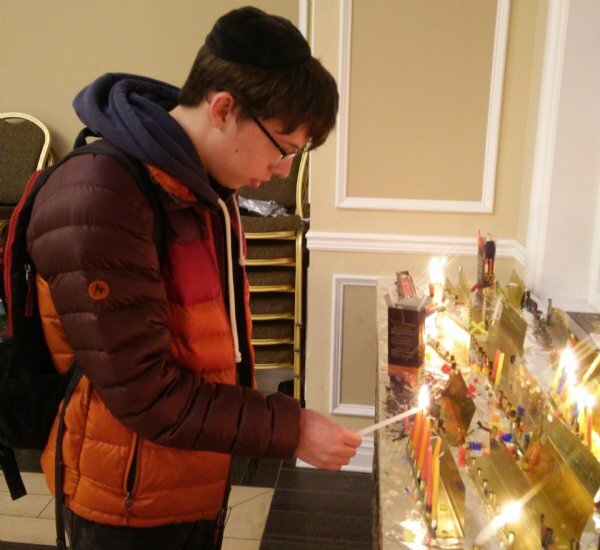 With excitement and curiosity in the air, the students and rabbi would sit around the Menorah, and encourage students who knew how to recite the ancient blessings over the candles to say them. 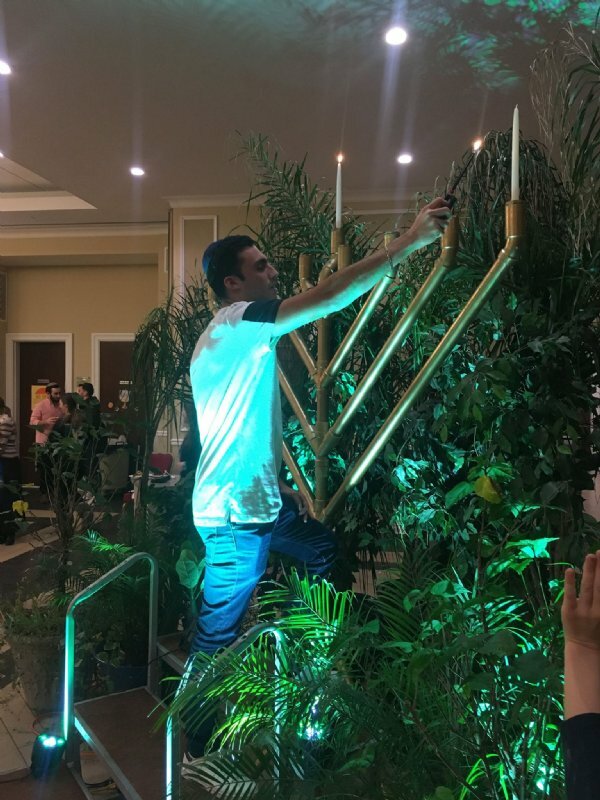 All present would then share in the lighting, passing the shamash-lighter candle around the group, giving people the opportunity to light one of the candles. 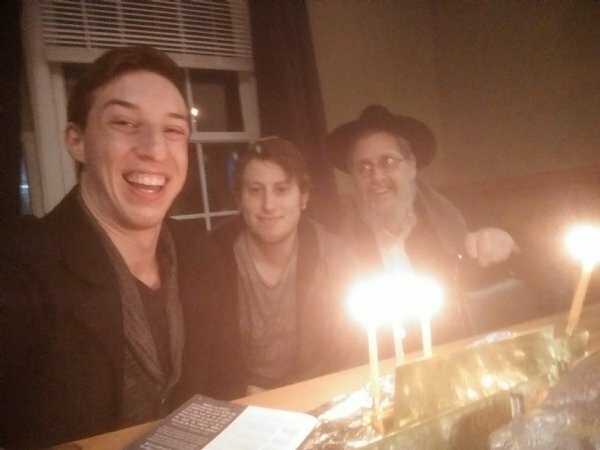 With flickering candles highlighting everyone’s faces, the rabbi spoke of the significance of the light, of the miracles, of Jewish unity and involvement, and of Moshiach’s imminent arrival with fascinating stories and l’chaims. 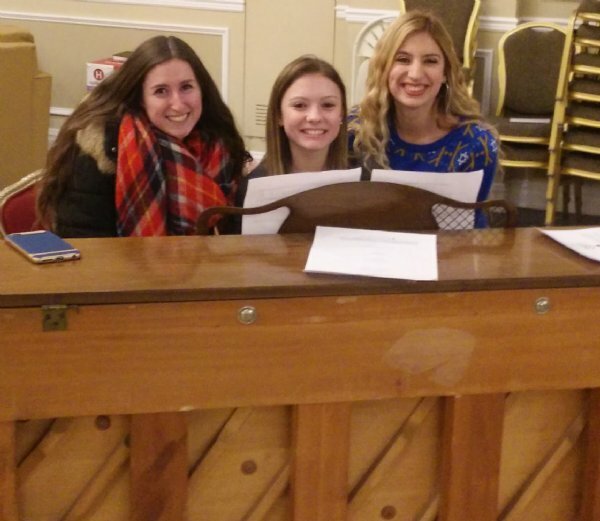 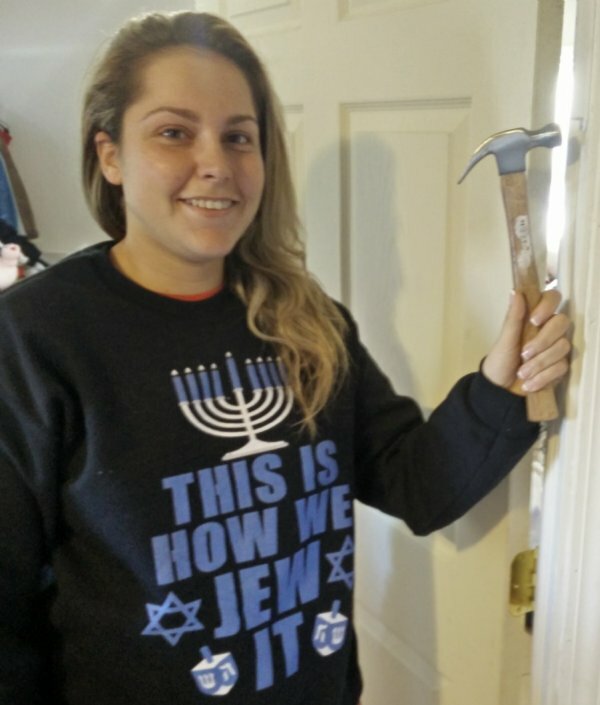 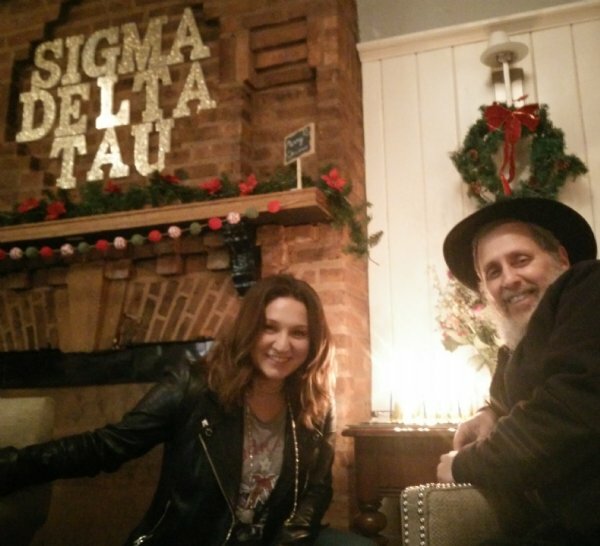 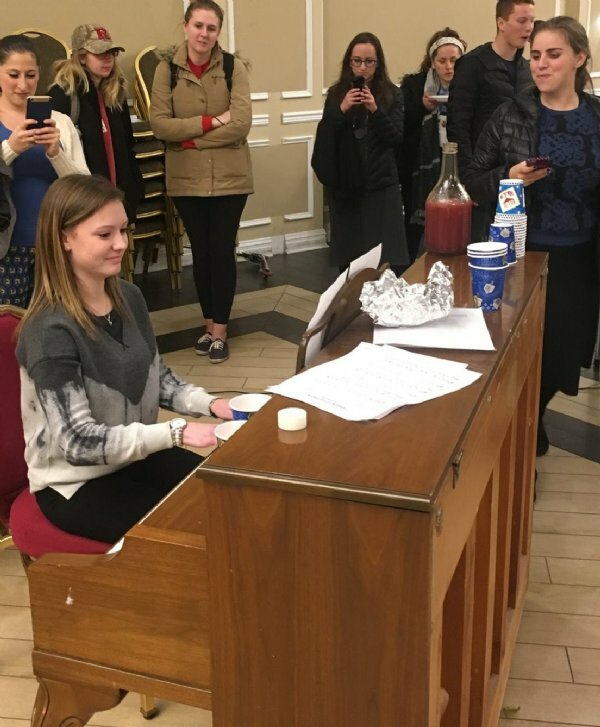 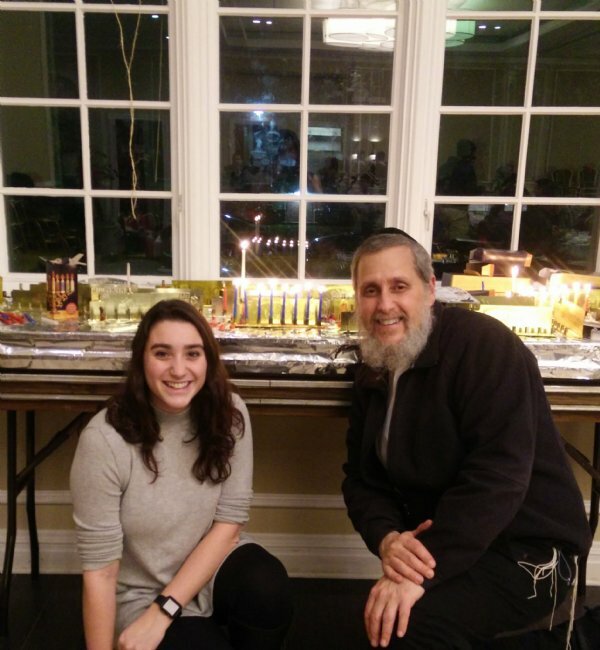 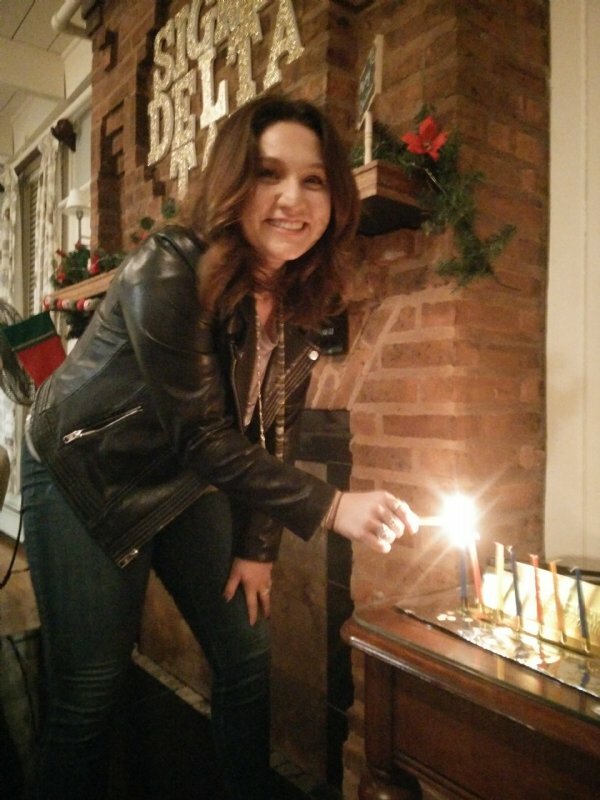 Amidst other holiday decorations in her sorority, Hanna Stone of SDT warmly thanked the Chabad crew for coming over and giving her to chance to light the Menorah by the window of her sorority’s living room in front of her friends who celebrate other holidays.